Dr. Mozayeni discusses the patients in his study. Many of them had been diagnosed with Lyme disease. He describes the symptoms, the challenges and the treatments. 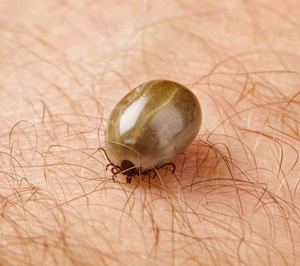 Most people are familiar with tick-borne diseases such as Rocky Mountain Spotted Fever or Lyme disease. But other diseases transmitted by ticks and fleas and biting flies may be flying under the radar. One such organism is called Bartonella. Bartonella is known as the cause of cat scratch fever, but its significance is much greater. New research suggests that it may underlie many hard-to-treat conditions. Joint pain, brain fog and chronic fatigue may all be symptoms of a difficult-to-detect Bartonella infection. Might you have Bartonellosis? B. Robert Mozayeni, MD, is a rheumatologist specializing in chronic inflammatory diseases with neurovascular as well as rheumatic manifestations. He is the founder and Executive Director of the Translational Medicine Group and chief medical officer of Galaxy Diagnostics. Dr. Breitschwerdt describes his research on the many species of Bartonella. He also discusses other tick-borne diseases.